We inventory, package and ship windshield glass and side glass, so you don’t have to. Coach Glass is ready to be your business’ distribution center for windshields and side glass throughout North America. We understand the value of space, which is why we store your glass inventory for you. 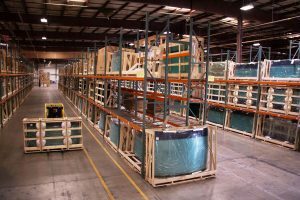 Our four warehouse locations stock over 10,000 product SKU’s to meet your glass needs, on your schedule. Our logistics team is seasoned in shipping to locations across the United States, as well as to destinations in Canada and Mexico. Glass is a fragile commodity, so we handle each product with the utmost care and precision to ensure safe shipment. We provide our customers the lowest shipping damage rate in our industry thanks to our experienced employees and proprietary protective packaging, different from any other glass distributor. Coach Glass understands the importance of getting a good shipping rate for your parts. 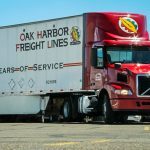 We have cultivated longstanding partnerships with freight carriers to secure the best pricing possible to fill that need. 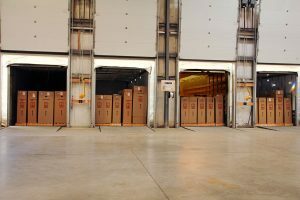 Strategic inventory placement at each of our warehouses and our freight carrier partnerships, enable us to provide same-day shipping and two to three-day shipping times on the majority of orders. Furthermore, our own trucks facilitate local deliveries at each of our warehouse locations, providing additional flexibility while saving you valuable time and money. When breakage does occur, Coach Glass handles the damaged shipment claim for you. If your glass order arrives broken, all you need to do is inspect the freight upon arrival, follow the instructions on our Freight Inspection Form (PDF) and send the Delivery Receipt back to us. We will take care of the rest. Give Coach Glass a call at (800) 714-7171 to discuss our logistics services today.